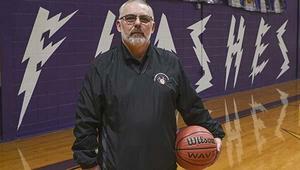 "The Flashes won 30 of the 36 sets they played, and district championships at seven of the nine positions, while easily claiming the team title at the district tournament Wednesday at Halls Ferry Park" (The Vicksburg Post). 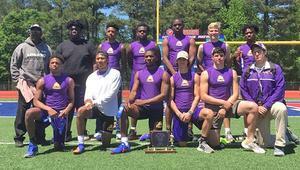 JACKSON — "The St. Aloysius boys’ track and field team ran away with the MAIS District 3-AAA championship on Monday. The Flashes posted 17 first- or second-place finishes and won 13 events to total 111 points. 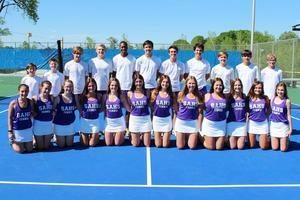 Park Place Christian was second, with 70 points, and Central Hinds was third with 48" (The Vicksburg Post). 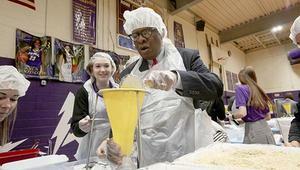 "Mayor George Flaggs, Jr. scoops rice into a bag during the Vicksburg Catholic School’s 2nd Annual Feeding Our Community Project Wednesday" (The Vicksburg Post). 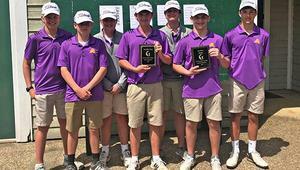 "The St. Aloysius boys golf team posted a score of 340 to win the Central Hinds Invitational Thursday in Raymond. Team members are, from left to right, Will Keen, Davis Black, Joshua Larsen, Wilson Palmertree, Greyson Simmons, Trace Daily and Chase Tucker" (The Vicksburg Post). 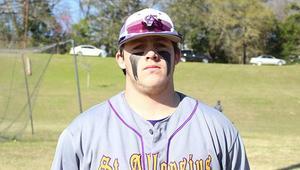 "The St. Aloysius Flashes stayed red hot and on course in their quest for a playoff berth and district championship. Tyler Breithaupt went 2-for-2 with a triple and two RBIs, and also pitched four strong innings to lead the Flashes to an 11-1 victory over Hillcrest Christian on Tuesday" (The Vicksburg Post). Vicksburg Catholic School will be open on Monday, April 15, for those who can safely make it to school. 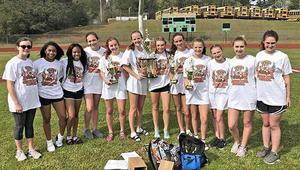 Natalie Burke won three events and the meet MVP award to lead the St. Aloysius Lady Flashes to the team championship at the Wordy Hicks Relays track and field meet Saturday in Woodville (The Vicksburg Post). 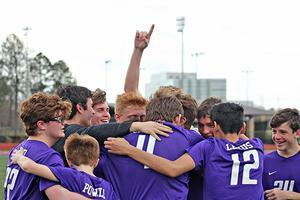 FLOWOOD — Moments after the final whistle blew, the St. Aloysius Flashes joyfully gathered together to celebrate their second consecutive MAIS Division III boys’ soccer championship. 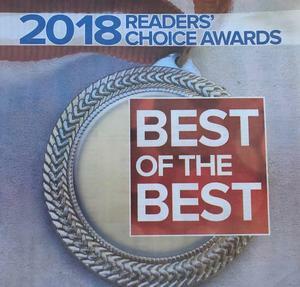 St. Aloysius High School and St. Francis Xavier Elementary were voted Readers' Choice Winners in The Vicksburg Post's Best of the Best 2018. St. Aloysius High School was named best jr. high and high school and St. Francis Xavier Elementary was voted one of the best elementary schools in Vicksburg, Mississippi.